It has been fifteen years since Nora Helmer slammed the door on her stifling domestic life, when a knock comes at that same door. It is Nora, and she has returned with an urgent request. What will her sudden return mean to those she left behind? 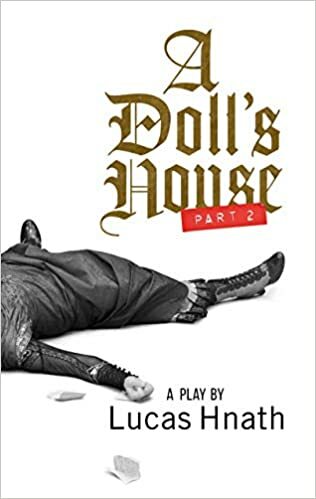 Lucas Hnath’s funny, probing, and bold play is both a continuation of Ibsen’s complex exploration of traditional gender roles, as well as a sharp contemporary take on the struggles inherent in all human relationships across time. Pulitzer Prize Winning Author Beth Henley brings us another critically acclaimed masterpiece focused on the life of Carnelle Scott, a woman with a “reputation” in a small town. This explosive comedy focuses on the annual Miss Firecracker Beauty Contest as Carnelle struggles against all odds and the bizarre and ridiculous characters she encounters to win the crown and replace her tarnished title of “Miss Hot Tamale”. While a hilarious and masterful look at identity and southern culture, this often moving play explores everyone’s need to be loved and accepted. It was the Holmes family secret. A secret so dark, so disturbing that Sherlock and brother Mycroft vowed upon their father’s death it would forever be buried with the Holmes patriarch. It was the secret of ... the other Holmes brother! But when murder comes to Charleston with the annual convention of hero sidekicks, it will be up to you to determine what's what ... and who's who!